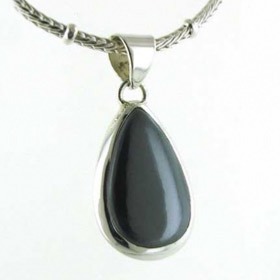 Pear drop haematite pendant in sterling silver. 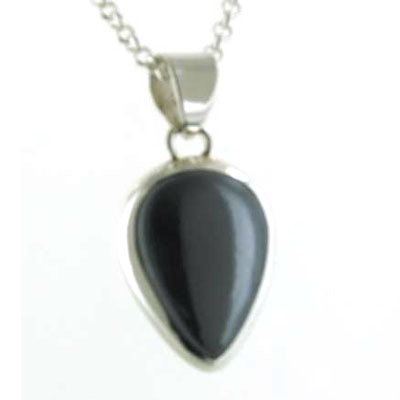 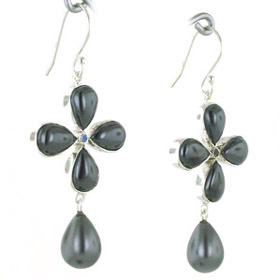 Haematite is a metallic gemstone - iron oxide - and has a magnetic structure. 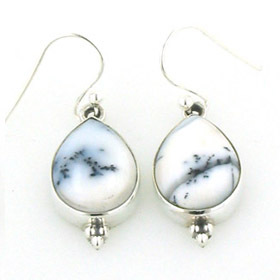 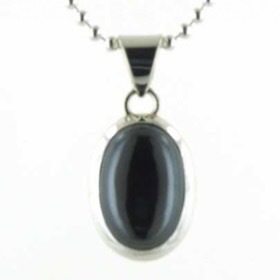 It gleams with silver, grey and black as the light catches the beautifully smooth surface. 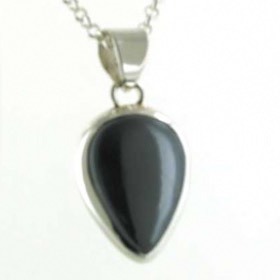 Its smoothness is so tactile, you'll want to pass your fingers over the surface. 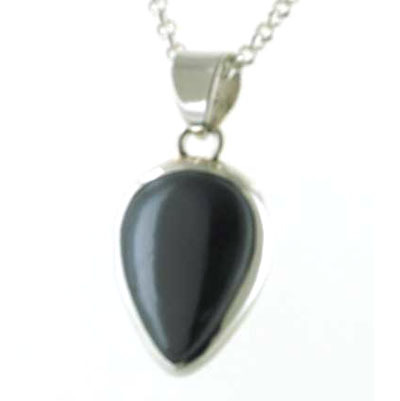 Haematite can be banded with red/orange iron deposits but the pendants we are offering are top quality pure "gunmetal" colour. 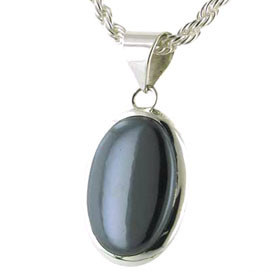 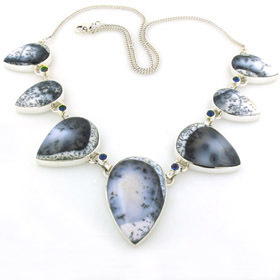 Haematite looks perfect in sterling silver and mixes well with many colours., not just monochrome. 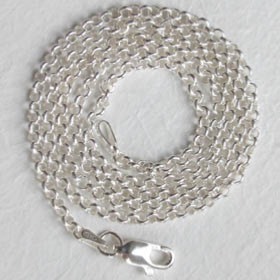 The chain shown with this pendant is a 2.5mm silver belcher chain (see below). 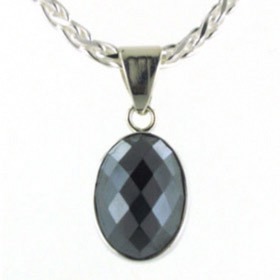 Browse and chose your own style.